Pediatric providers should understand the basic risks of the diagnostic imaging tests they order and comfortably discuss those risks with parents. Appreciating providers’ level of understanding is important to guide discussions and enhance relationships between radiologists and pediatric referrers. 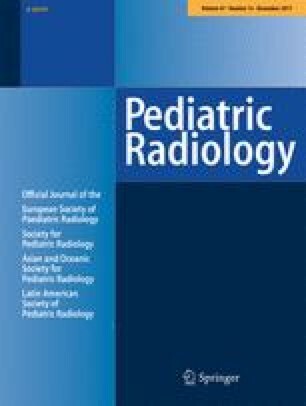 To assess pediatric provider knowledge of diagnostic imaging modalities that use ionizing radiation and to understand provider concerns about risks of imaging. A 6-question survey was sent via email to 390 pediatric providers (faculty, trainees and midlevel providers) from a single academic institution. A knowledge-based question asked providers to identify which radiology modalities use ionizing radiation. Subjective questions asked providers about discussions with parents, consultations with radiologists, and complications of imaging studies. One hundred sixty-nine pediatric providers (43.3% response rate) completed the survey. Greater than 90% of responding providers correctly identified computed tomography (CT), fluoroscopy and radiography as modalities that use ionizing radiation, and ultrasound and magnetic resonance imaging (MRI) as modalities that do not. Fewer (66.9% correct, P<0.001) knew that nuclear medicine utilizes ionizing radiation. A majority of providers (82.2%) believed that discussions with radiologists regarding ionizing radiation were helpful, but 39.6% said they rarely had time to do so. Providers were more concerned with complications of sedation and cost than they were with radiation-induced cancer, renal failure or anaphylaxis. Providers at our academic referral center have a high level of basic knowledge regarding modalities that use ionizing radiation, but they are less aware of ionizing radiation use in nuclear medicine studies. They find discussions with radiologists helpful and are concerned about complications of sedation and cost. Q2. 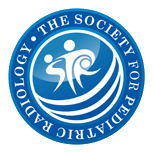 What is your pediatric subspecialty? Q3. Which of the following imaging examinations use ionizing radiation? Q4. What is your level of comfort when discussing the risks of ionizing radiation with parents? Q5. Do you find it helpful to discuss the risks of ionizing radiation with a radiologist?